Posted on March 14, 2017 at 2:14 am. Pennsylvania was showing promising signs of legalising online gambling, but a new bill could cease regulation plans. If passed, the bill enforces consequences for online gambling operators, with up to $300 in fines for the first offence and $600 in fines, plus three days in prison, for the second offence. Further offences are considered as third degree misdemeanours with fines of up to $2000 and the possibility of lengthy jail time. The bill has garnered four co-sponsors since it was initially suggested in January. 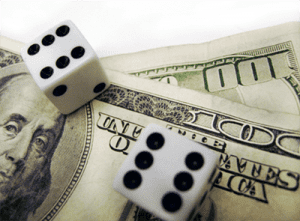 A similar anti-online gambling bill surfaced in the state in 2014 but the lawmaker who introduced this bill is now is a leading advocate of Pennsylvania’s plans to regulate online gambling as a means to help close a budget shortfall. The bill was proposed by Senate Community, Economic and Recreational Development Committee Chairman Mario Scavello who has since changed his position stating online gambling now has the support it needs to pass. The bill will be discussed during a Pennsylvania House Gaming Oversight Committee hearing on March 28. But it may not matter with a potential US policy change being considered by U.S. Attorney General, Jeff Sessions. In January, Sessions declared he would reverse a 2011 federal legal opinion which allowed US states to legalise online gambling. He added he would be examining the opinion of the Department of Justice (DOJ) which saw states including Nevada, New Jersey, and Delaware, legalising internet gambling. State lawmakers, including Pennsylvanian Representatives, are attempting to work out what the implications would be if Sessions did reverse the opinion. “Everyone is sort of waiting to hear what they (Justice) have to say,” Pennsylvania Rep. Aaron Kaufer said. Former Pennsylvania Gaming Control Board member and Philadelphia Attorney, Thomas Decker, doesn’t believe it will be overturned, but if it is he said it is unlikely to have a huge impact on the state legislative process. Ironically, Scavello also shrugged off the federal policy shift, suggesting it’s more important to focus on getting a gambling bill through both the Senate and House. If Pennsylvania were to legalise online gambling, it’s estimated it could bring $120 million in revenue to the state within the first year.